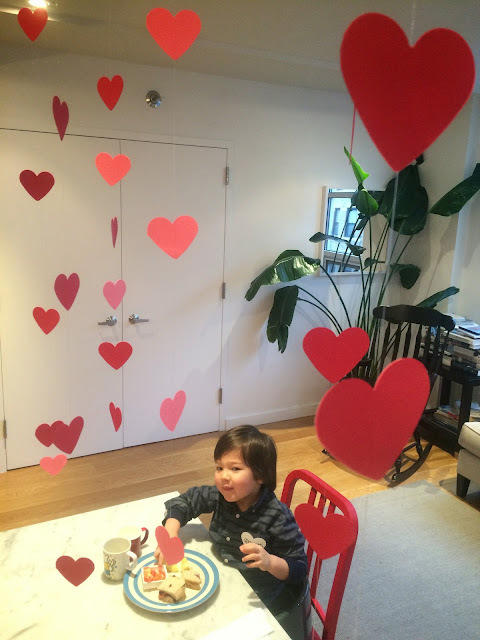 This is from a Valentine's Day playdate, but hearts are never out of season. My favorite crafts are simple crafts that you can do quickly using stuff you already have in the craft bin. 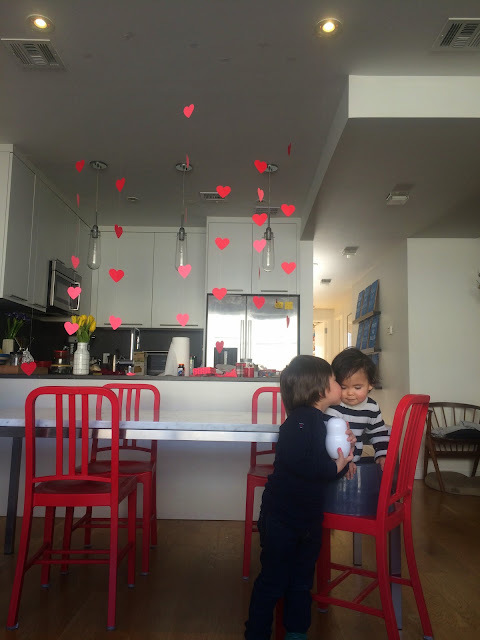 For a simple heart-themed playdate or party decoration, why not hearts on wire! Punch out some hearts, sandwich each pair of hearts around fishing wire using glue and then tape the wire to the ceiling. 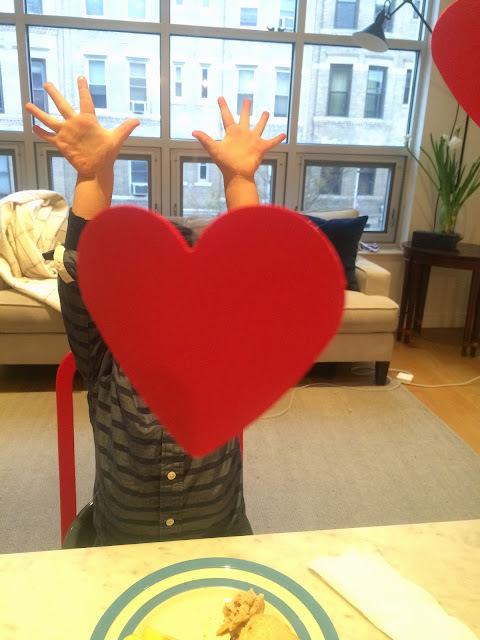 You can have all sorts of fun with paper hearts, but these hearts can serve as a centerpiece as well as a photo backdrop. After the hearts came down, I used the hearts as gift tags, so yay for that. 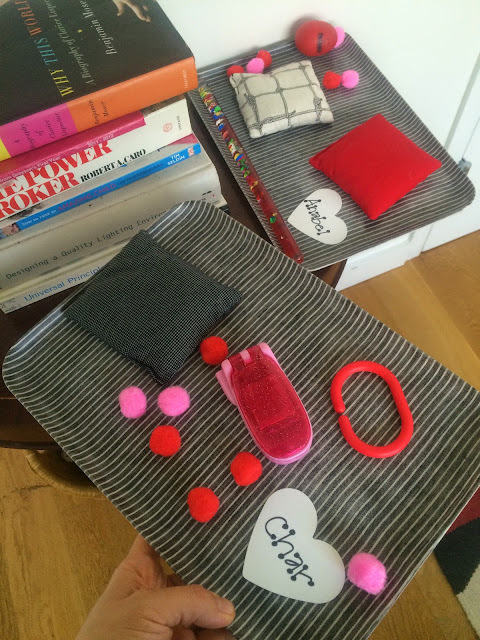 And for a playdate activity for a pair of 3.5 year olds and their younger siblings, I basically put everything red or pink I have onto trays and called it an activity. 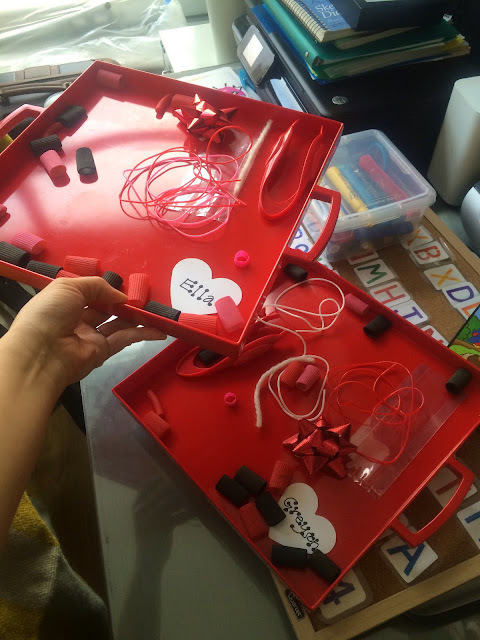 I gave the older ones materials to make two dried pasta necklaces each as well as gift wrap and a bow, so they could give one necklace as a gift. The babies had sensory toys like bean bags and things I hoped they wouldn't choke on. Everything came together really easily and the kids had fun. Last but not least, make sure to get your dog in on the theme. The theme needs to trickle down to all levels. Just kidding. 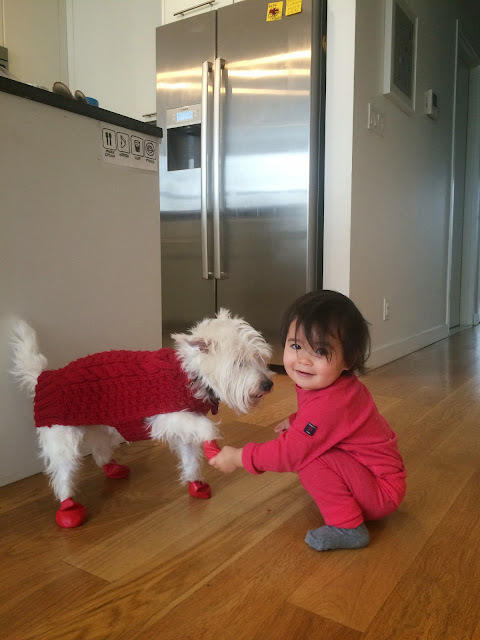 This picture was from another day and we just have a lot of red stuff. Our dog loves a theme, too. Can't you tell?